Maggie Stiefvater lives in Virginia with her husband and their two children. You can visit her at www.maggiestiefvater.com. Just when I thought I couldn't find a better book than Shiver for this year, I get the sequel, Linger. This is just beautifully written and a flat out wonderful romance. Instead of dwelling on Grace and Sam, Stiefvator brings in Isabelle and Cole to round out the whole story and makes me demand a story just about them. I am trying hard not to give away any of the story line, but the ending will leave you hanging again and desperate for the next book in this series. There better be another one soon! Loved the first one can't wait to read this! 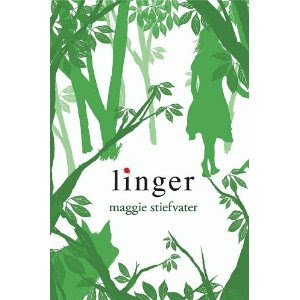 I can't wait to read Linger. I dunno how I'm gonna wait until July!! Great review! I'm glad you enjoyed it so much! It makes me eager to crack the spine too!